Vice-Admiral Igor Voronchenko said that one decision has already been made. The Ukrainian defense Ministry is considering buying in the secondary market of Western countries warships. This was stated by commander of the Navy Igor Voronchenko. According to him, the ships Ukraine may receive a special payment schemes. “The group (of negotiators from Ukraine – ed.) went. 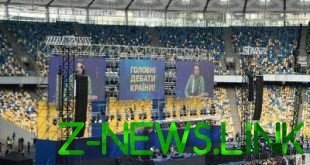 One group of officers of the Navy of Ukraine has returned, I can’t name the countries because I do not have the right, from abroad, where positively considered one solution. For September we are preparing the second group,” – said Voronchenko. He noted that the countries-partners of Ukraine “consider the question as a perspective”. According to him, Ukraine is a transit state, which must guarantee the safe navigation of all vessels on the Black sea, and one trawler “Genichesk” there is not enough. So now the question on acquisition of mine-sweeping the complex.